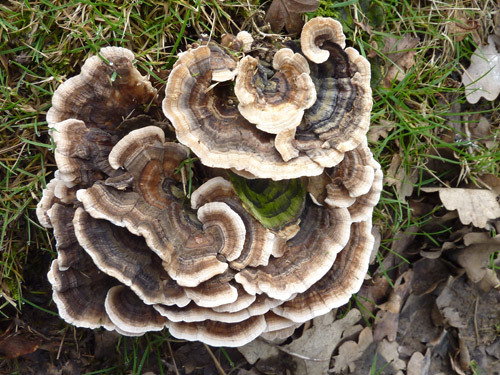 A morning walk around Little Linford Inclosure and an evening walk from Picket Post around Foulford Bottom. Not foul at all! 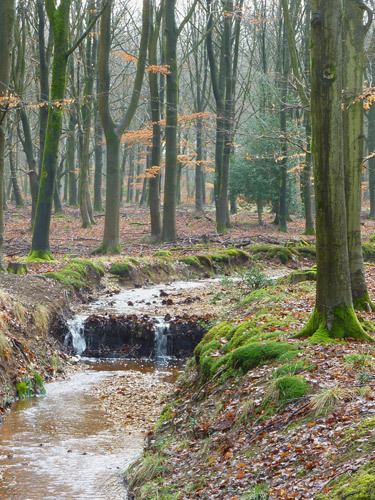 The stream that runs from Picket Bottom – oddly above Little Linford Inclosure – through and on down to the Linford Brook. 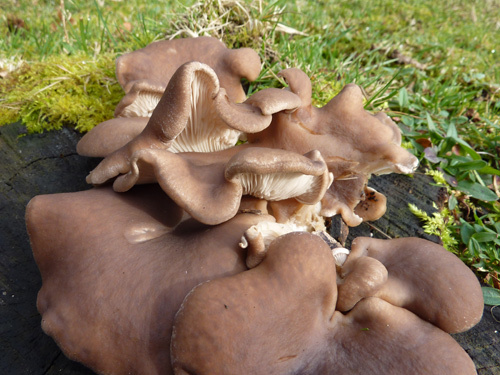 I found these Velvet Shank lurking around the far side of a fallen tree. 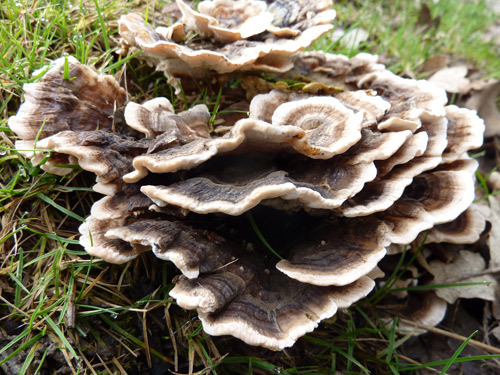 The Many-zoned Polypore, Turkeytail or Trametes Versicolor – take your pick. And a bit closer in. 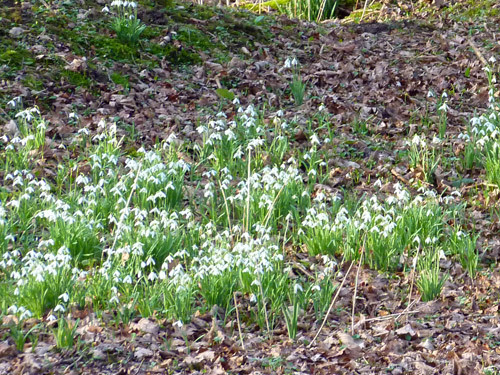 I haven’t taken any pictures of snowdrops this spring, so, while not a great photo, here they are. 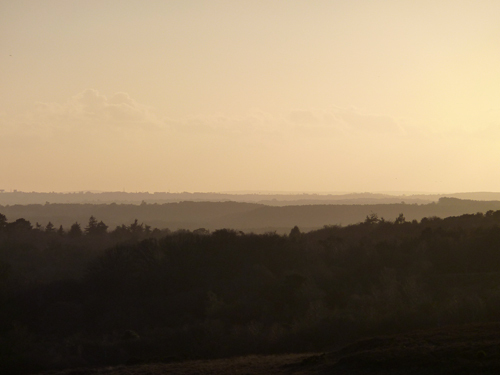 Looking to east Dorset from Picket Post. 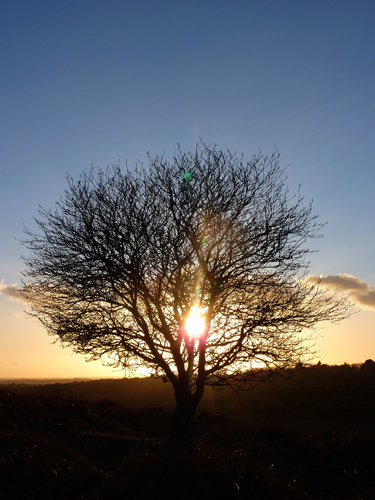 A hawthorn silhouetted by the sunset. 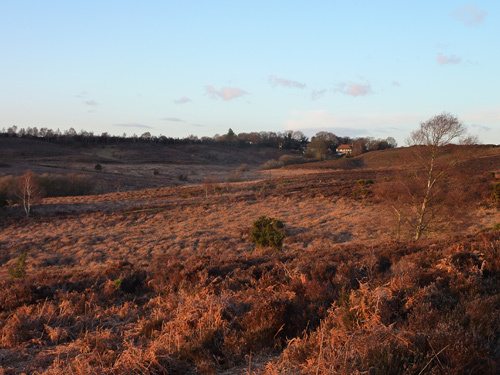 Across the heather to Picket Post. 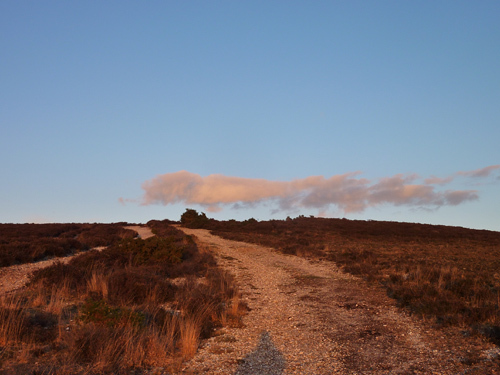 A very pink path up to Smugglers Road. 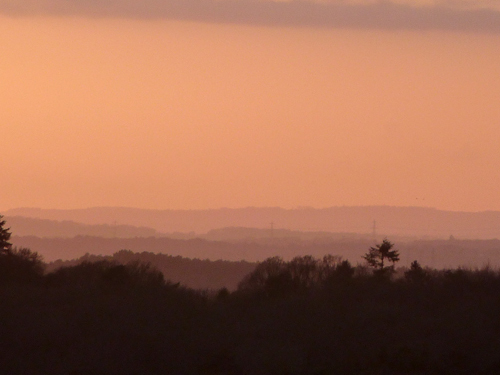 The hazy atmosphere creates pink gradations in the lines of the Dorset hills. 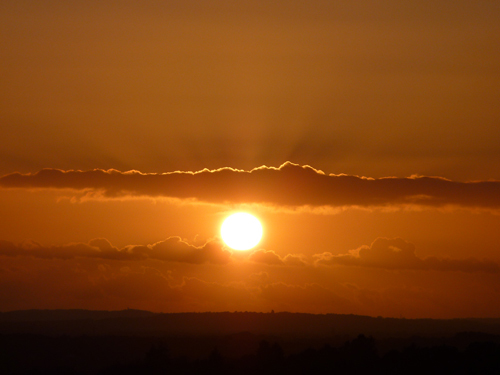 Over northern Dorset the sun begins to set into the building cloud and throws rays up into the darkening sky. 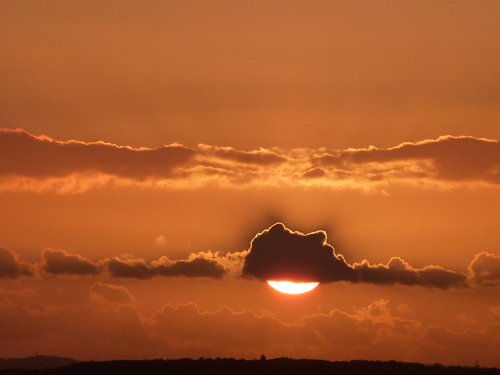 The cloud moves over the sun, outlined in pinky gold. 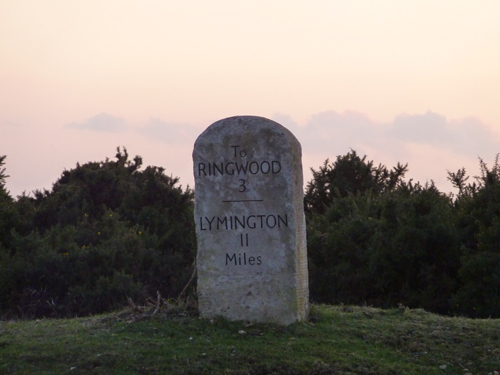 Ringwood is 3 miles and Lymnington 11 from where we cross the road. The A31 intersects the Forest carrying traffic from the east into the west. 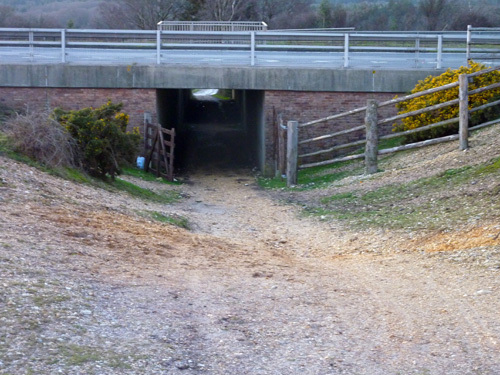 These underpasses are dotted along the way allowing the other Forest traffice, ponies, cattle, deer and all the other wildlife, to cross safely. 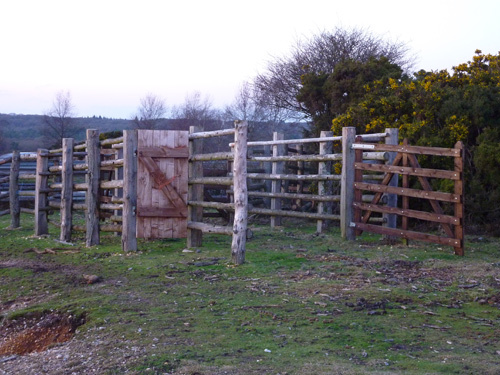 Next to the underpass, a pony pound. 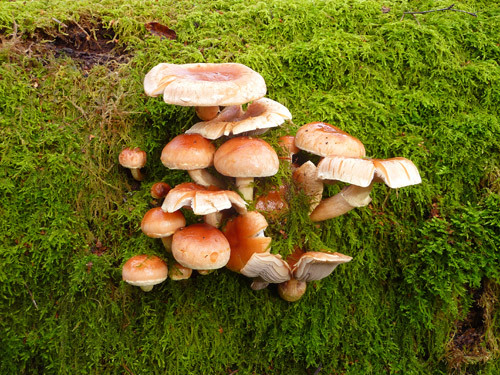 These are used by the agisters, who look after the Forest stock, to gather the ponies each autumn for cutting their tails show that fees have been paid and a general health check. Those last to photos show that it’s too dark for photos now, so off home we go.